Daniel Butterworth’s exhibition, When the Black Dog Bites, completely fills gallery two at the La Trobe Art Institute. Step into the space and the air is thick and charged. It’s not an easy place to be. It’s dense with the emotional weight taken to create these works. There’s space for little else. You’d never guess there were two works missing. Each of the self-portraits here are a response to the words of someone suffering depression. Daniel put a call out for the precious offerings and they came thick and fast, via an anonymous drop-off box at a gallery in his hometown of Kyneton. Words like “I took my head out of a noose today mum.” They’re shocking, but they’re not for shock value. And they rocked Daniel to the core. He took them, lost sleep over them, lived with them in his head before envisaging a way to physically represent them, via body and facial expressions. He photographed himself in the midst of these words, and then painted. Daniel says he is fortunate to not have experienced depression in his own life, but this project has given him a small insight into what it may be like. Daniel is well practiced in the art of self-portraiture. 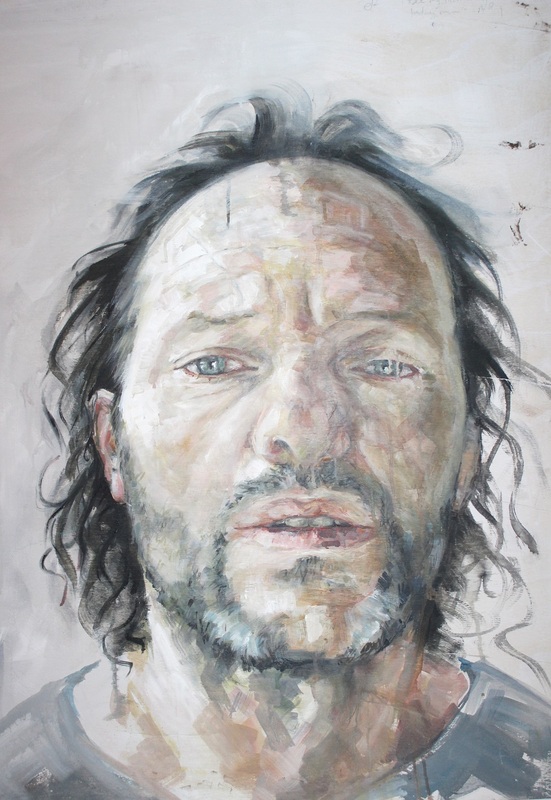 When he submitted his folio on application to study visual arts at La Trobe University’s Bendigo Campus more than 25 years ago, it contained 40 paintings of himself. Daniel grew up in a creative family; hence those childhood excursions to see the world’s great artists. His father is a sculptor, his brother studied alongside him at La Trobe. 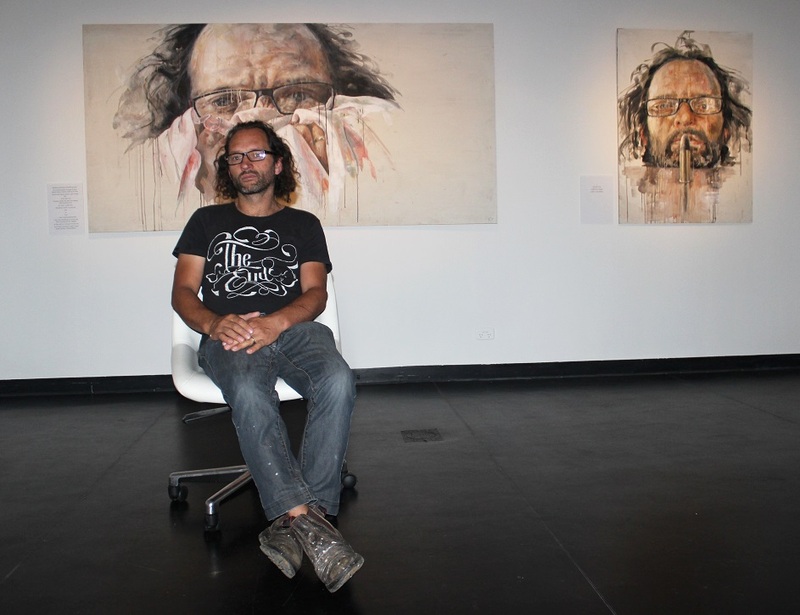 “It was nothing but fun,” Daniel says of those years in the uni art rooms. “My younger brother Matt was a year ahead of me in the same course. We’re so alike, and the lecturers kept mixing us up. 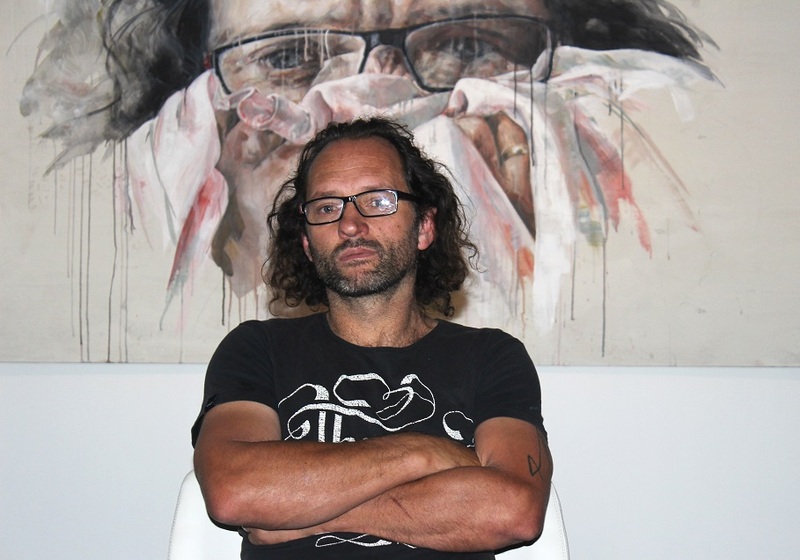 Daniel is now a prolific exhibiting artist, and part-time art teacher at Kyneton Primary School. He loves both jobs, and says the rewards come daily. Big and small. Like entering last year’s Archibald Prize with a portrait of Trentham chef Annie Smithers. When the Black Dog Bites is on show in Bendigo until March 5. 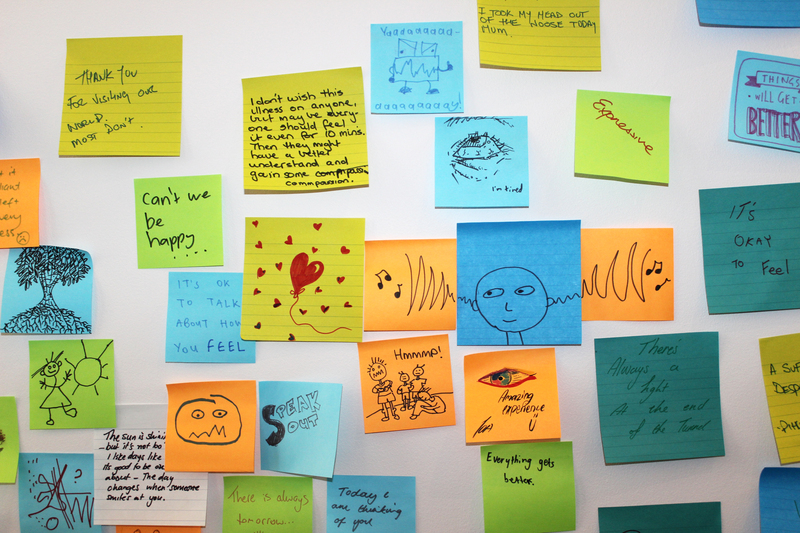 You’re invited to join in the responses to Daniel Butterworth’s exhibition, by writing on a post-it note and adding it to the gallery wall.